A jobless ruffian hits gold when he spots a millionaire memsaab having an extra-marital affair. He blackmails she betrays – spinning into an endless chase for lust love and money. On the whole, Shortcut Romeo is a dull fare which fails to involve the audience. Flop. For a suspense thriller, that can be the biggest flaw. 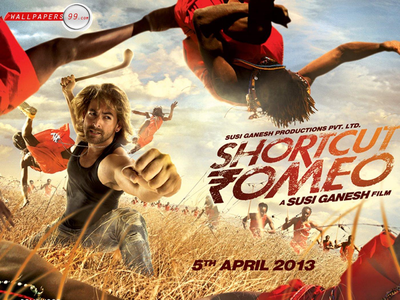 Shortcut Romeo is a highly shoddy script executed extremely poorly and the weakest offering this week. Suraj (Neil Nitin Mukesh) a bloke from Goa, who would like to get everything in life with minimal effort, is also given to sporadic bursts of anger. Shortcut Romeo also tries to capitalise on the same elements and tampers with them to present a different movie altogether. Shortcut Romeo finds Neil giving grit to the gripping goings-on. The last half-hour is a knock-out.But the overall product could have been far less retrogradatory in tone. Nonetheless enjoyable while it lasts.